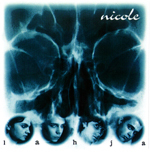 1)Nicole (the band): Finnish metal band Nicole is one of the founders of the new wave of Finnish heavymetal. 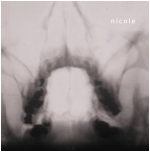 Instead of following the trends of the day, Nicole has kept it's style of music the same since the beginning and continued to develope it heavier and heavier every year And more symphonic. Nicole is a great example of the new generation metal bands in Finland that have made their way into the spotlight during the last couple of years. 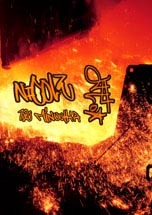 Since founded in -97 the band has published 10 releases including 3 albums and 2 DVDs. The band has developed into a fierce metal machine and has enjoyed great success after the release of "Suljetut ajatukset" -album in fall 2004. 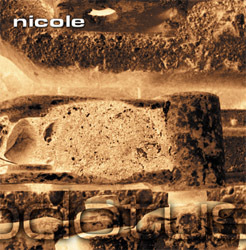 Nicole has its own label, own rules, so as a celebration of last summers success at Finnish festivals. Success seems to be continuing, Nicole has been booked on most of the major festivals in Finland for summer 2007. Their latest album, "Sivu syyttömistä", introduced more brutal Nicole to date, this can be heard on their MySpace site. 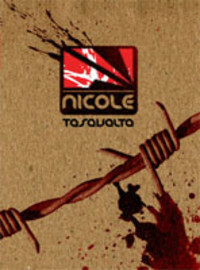 2)Nicole (Chilean singer): Nicole (real name: Denisse Laval) is a Chilean singer, based in Miami. She began her career as a young child. Her first album, Tal Vez me Estoy Enamorando (Perhaps I'm falling in love) was locally successful, reaching Gold Status. Years later, the singer released Esperando Nada (Waiting for nothing), produced by Tito Dávila (ex Enanitos Verdes), which sold more than 75,000 copies in her country alone. In 1997, Sueños en Tránsito (Dreams in transit), produced by Gustavo Cerati, made her deserving of recognition in Latin America as a consolidated singer. Viaje Infinito (Infinite journey), released in 2002, part of Madonna’s Latin label Maverick Música, received a Grammy nomination for best Latin Female Vocalist. successfully in the Chilean radios and MTV. (Si Vienes Por Mi (If you come for me)). 3) Nicole is a German singer, she won the Eurovision Songcontest for Germany back in 1982 with the song Ein bißchen Frieden, since that time she remained quite popular in the german schlager scene. 4) Nicole Scherzinger - the singer of the popband Pussycat Dolls. Her first solo album, "Her name is Nicole" appears in September 2007 and the first two hits are here: "Whatever U Like"(feat. T.I.) and "Baby Love", the newest video of Nicole.